Eula Sally Ann Statler, age 87 of Fredericktown, Missouri passed away on Monday, January 14, 2019 at the Stockhoff Memorial Nursing Center in Fredericktown. She was born on November 7, 1931 in Millersville, Missouri, a daughter of Marvin Jessie and Retha (Shrum) Mills. On November 7, 1949 in Bollinger County, Missouri she was united in marriage to Floyd Dale “Bud” Statler, he preceded her in death on September 5, 2011. She is also preceded by her parents, one son – Samuel Statler, one daughter – Barbara Jackson and one granddaughter – Christina Jackson, son-in-law – Kenneth Myers and three brothers and five sisters. She is survived by: one son – Kenneth Statler and wife Debbie of Cascade, Missouri; four daughters – Patsy Lundsford and husband Jim of Whitewater, Missouri. Dorothy Myers, Sandra Myers and husband Scott and Tandra Carey and husband Duane all of Marquand, Missouri; sister – Loretta Wilkerson of St. Louis; fifteen grandchildren, twenty-four great-grandchildren and seven great-great grandchildren and numerous nieces and nephews. Eula had worked as quality control at the Tri-Con Manufacturing Company in Cape Girardeau; she enjoyed quilting, collecting rocks, flower gardening and loved playing the piano; she was a member of the Union Light Free Will Baptist Church in Patton. Visitation will be from 5:00 – 8:00 p.m., on Thursday, January 17, 2019 at Wilson Funeral Home in Fredericktown. Funeral services will be held at 11:00 a.m., on Friday, January 18, 2019 at Union Light Church near Patton with Bro. David McCutcheon and Bro. Les Bequette officiating. Interment will be at the Union Light Cemetery. 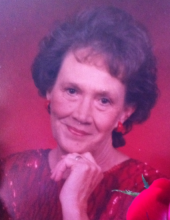 To send flowers or a remembrance gift to the family of Eula Sally Ann Statler, please visit our Tribute Store. "Email Address" would like to share the life celebration of Eula Sally Ann Statler. Click on the "link" to go to share a favorite memory or leave a condolence message for the family.